A very easy recipe and looks very impressive as well. Take the ready-made kadaif dough and place in cupcake tin and create a pocket for the beef filling, spray the tin with oil. Turn your oven on 180c and bake the dough until firm and golden brown. For the beef filling: Saute the onions until translucent. Add the garlic and saute for 1 more minute. Add ground beef, season with salt and pepper, and cook until it’s broken down and nice and brown. 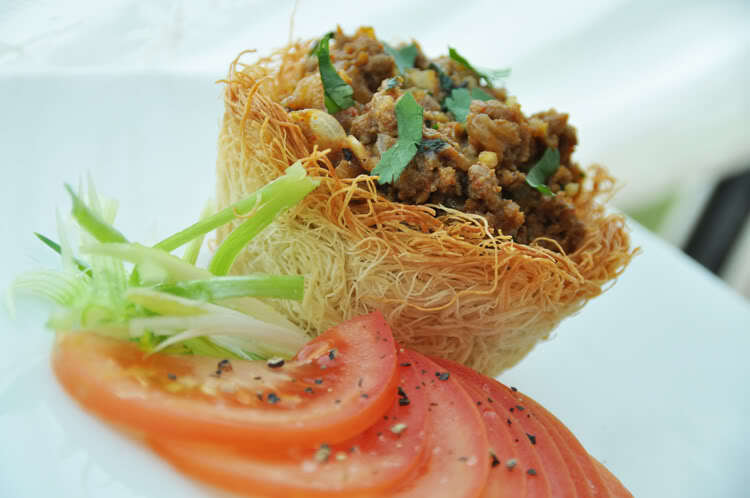 Drain the excess liquid from the ground beef and add the ras al hanut and dates. In a different pan toast the pine nuts until they have a smokey essence. Combine all the ingredients together and garnish with fresh coriander. Serve with a nice yellow tahini sauce or a tomato chutney. Bandora Shawarma is Really onto Something! 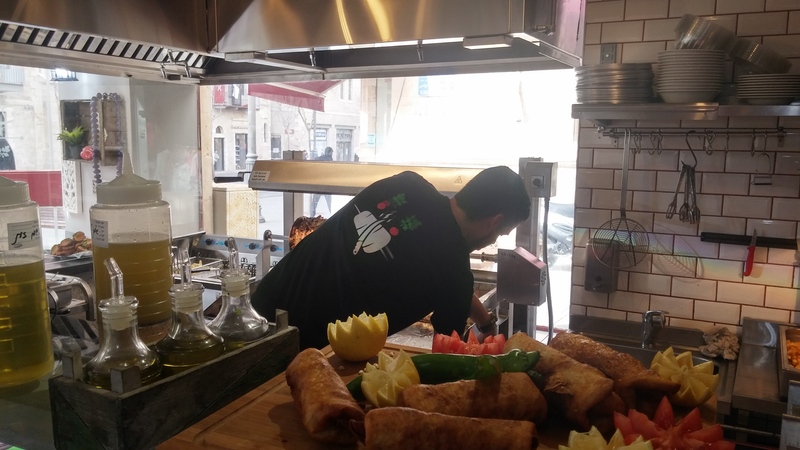 Who would have thought that someone could reinvent the shwarma? Well the owners of Bandora shwarma did. 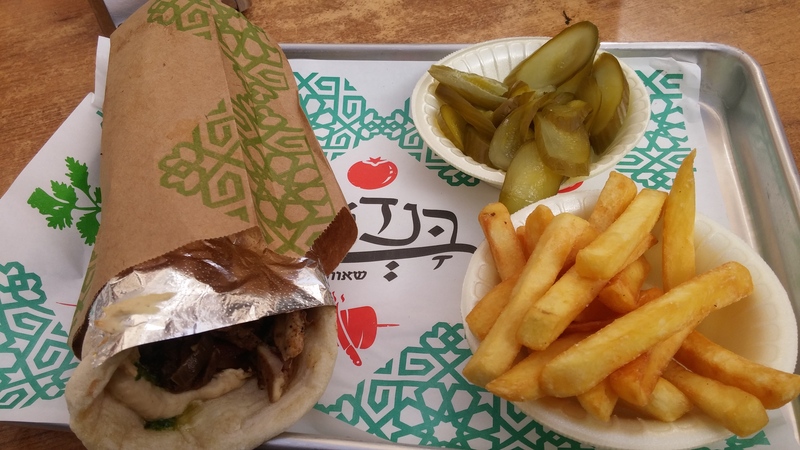 Bandora (Badatz beit Yosef) is a new shwarma chain that has been around for less than a year and has really made an impact in the fast food world of Israel. The concept of theirs is to cook the shwarma open a horizontal fire pit. Just like in south american BBQ style. Over an open spit slowly rotating and letting the fat drip so the smoke really penetrates the meat and enhances the flavor of the meat. Unlike your standing shwarma joints who all do the same thing, they really have a winner here. Every Bandora shwarma is franchised with guidance from the home office so wherever you go it will taste the same, and I can tell you, that is absolutely true. 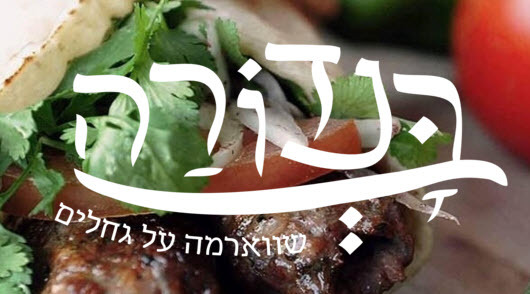 I have eaten their shwarma in Kiryat Gat in the south and in Jerusalem as well, Everything is the same. The layout, flavors, service all the same. So far I have tried two of the ways they prepare the shwarma. One is right off the spit into a pita or laffa bread, the other is where they cut it off the spit and give it a real nice kick with some heat. 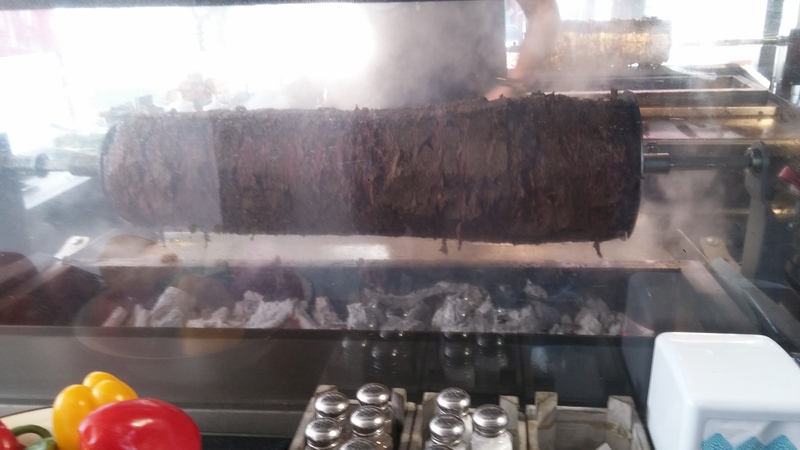 Let me explain a little more about the shwarma, the meat has a real nice smoke flavor to it, the laffa bread is very durable and is able to hold the generous portion that they give each customer. The condiments are made in-house, not the hummus though, but the schug, tehini and all the sides are prepared in-house. The pickles have a great crunch, the cabbage is sweet with a touch of vinegar and the fries are industrial, but no ones perfect right. I have to declare that Bandora shwarma is definitely one of my top 5 shwarma joints in the city of Jerusalem. Every Bandora around Israel is Kosher! Everything is just great there from the way they present the food, to the take away even. It is a bit on the pricier side on the shwarma circuit, but it’s definitely worth the money. So if you find yourself in the area with a branch and are looking for a fast bite, I highly recommend it!